Toddler Approved! 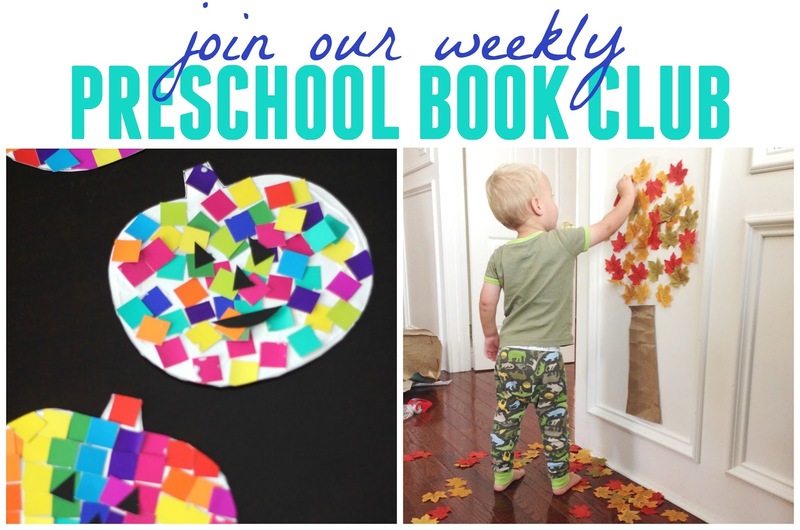 : Join our Fabulous Weekly Virtual Book Club for Kids! Join our Fabulous Weekly Virtual Book Club for Kids! Our house is filled with books, yet often we don't read them enough! I love children's books and teamed up with Cerys (of Rainy Day Mum) and Kim (of The Educators' Spin on It) to kick off a Weekly Virtual Book Club for Kids last year. Several amazing co-hosts joined us too! Our weekly Virtual Book Club for Kids has been a great way to include some awesome books into our week. We share old favorites and new-to-us books each week! We'd been doing a monthly book club for a few years and we found that a weekly book club was even better! We hope you'll join us this year! Each Monday during the 2017-2018 school year we'll be featuring a different children's book by a favorite author and we'll be sharing a themed activity related to the book. We are inviting YOU to not only read the featured book with your kids, but also try out a book related activity during the week and report back! Our co-hosts will also share activities. You'll be able to find all of them in our Facebook Group each week. 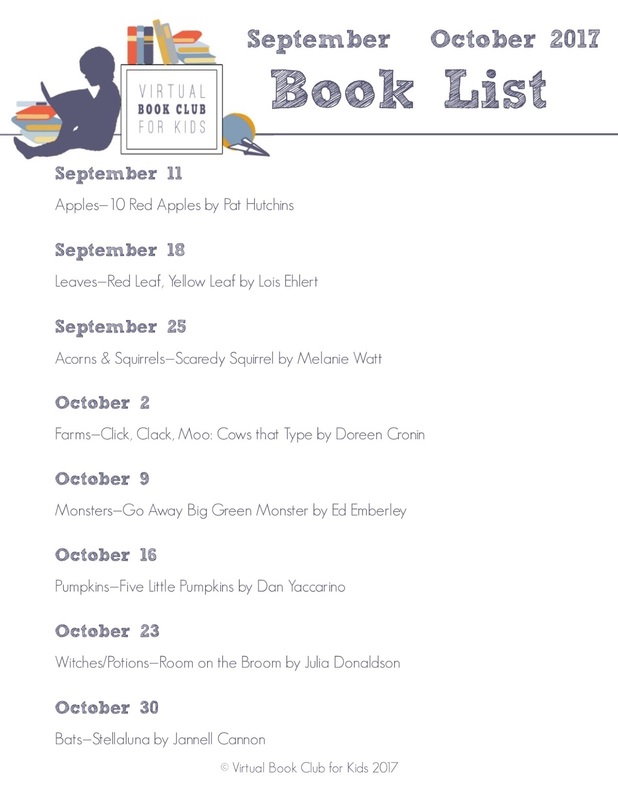 This year’s book club is exciting and full of fun themes that we hope that you and your children will enjoy participating in each week. We like to release the themes about 2 months in advance to give you enough time to get prepared and organized. Our membership is worldwide so we recognize that sometimes it is tricky to find books in all countries. If you can't find the featured book at your library or on Amazon, you'll have access to additional themed books that you can try instead. Sometimes you can also find them read-aloud on YouTube. I have included Amazon affiliate links to make finding books for our Virtual Book Club for Kids easier for you. Our Virtual Book Club for Kids kicks off on September 11th. Here are the themes and featured books! 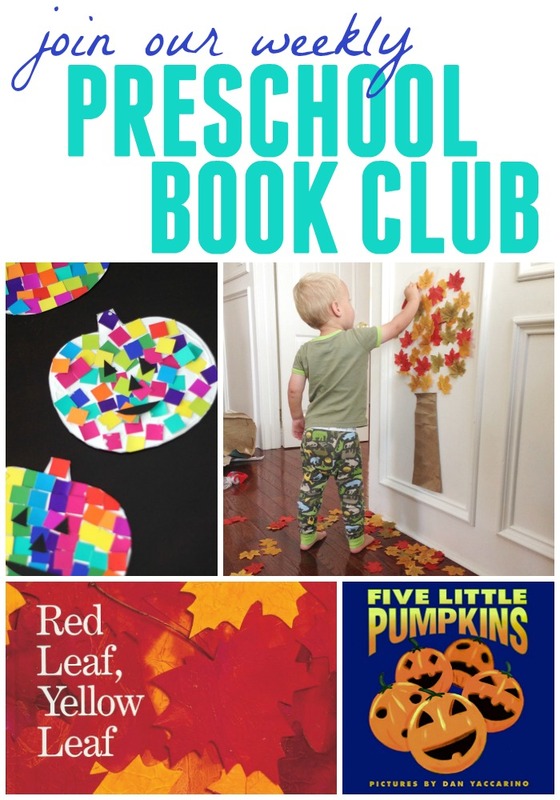 We will share additional themed books each week in our private Facebook group.